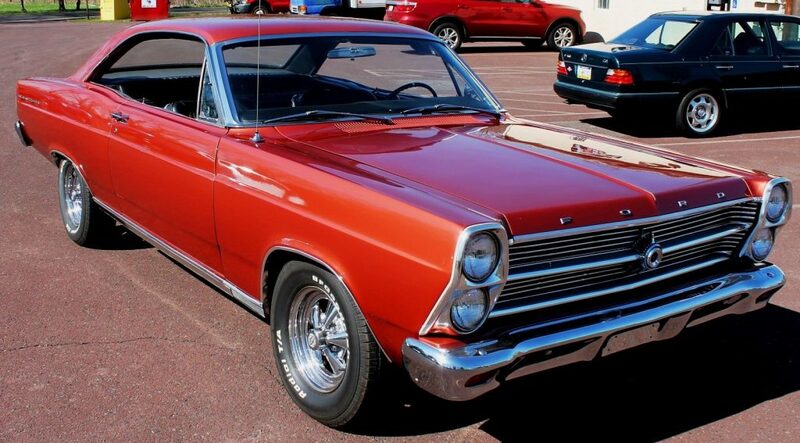 Has up for auction a 100% restored 1966 Ford Fairlane 500 two door hardtop in all around show winner condition. Nothing was overlooked during the two-year long project done by its proud owner who used only the best parts and finishes. The car started out to be a six cylinder hardtop with a manual shift and bench seats. The solid completely rust free body was stripped down to the bare metal then finished in its original Amber Glow paint. The bumpers were re chromed and genuine vintage Craiger chrome wheels installed. The under carriage, floors and trunk pan are all excellent. A completely rebuilt 351 Windsor motor, 4 bbl carb and rebuilt top loader 4 speed transmission were installed. The brand new front end includes spindles, tubular “A” arms, tie rods, ends, neopreme bushings, springs and brand new shocks. Brand new mufflers with duel exhausts, new front disc brakes, all new power steering system, and all new lines and wiring throughout. 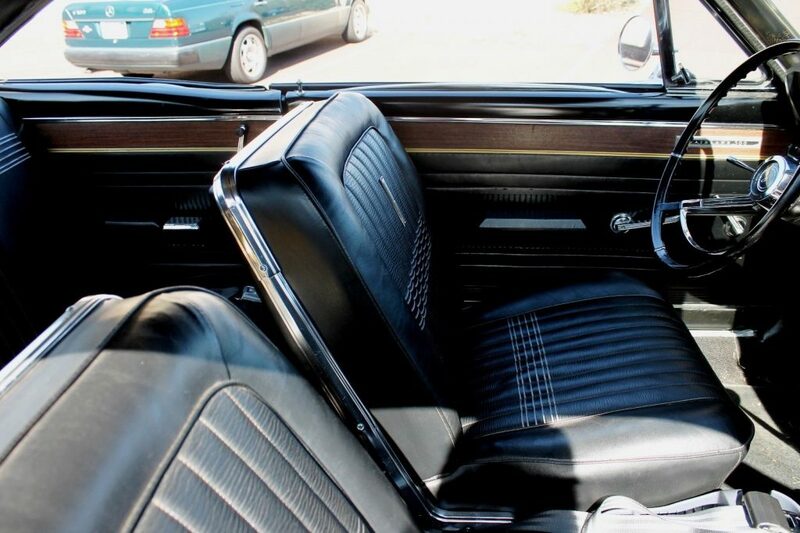 The interior is also brand new. New bucket seats, dash, headliner and sail panels, carpeting and trunk liner. 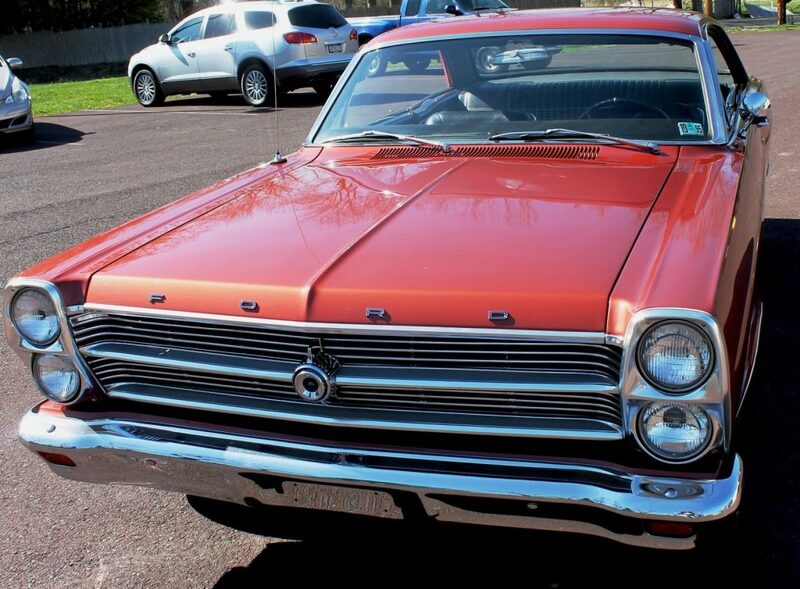 You will not find a more complete beautiful example of a 66 Fairlane anywhere. This beauty doesn’t only look sensational, she runs fast, strong, straight and stops on a dime. The transmission shifts effortlessly through all the gears. No fluid leaks, smoke nor blow back. Photographs of the progression of restoration and reams of receipts go with the car. Photos of the underside are available upon request. So if you’re in the market for such a car than this one’s for you. 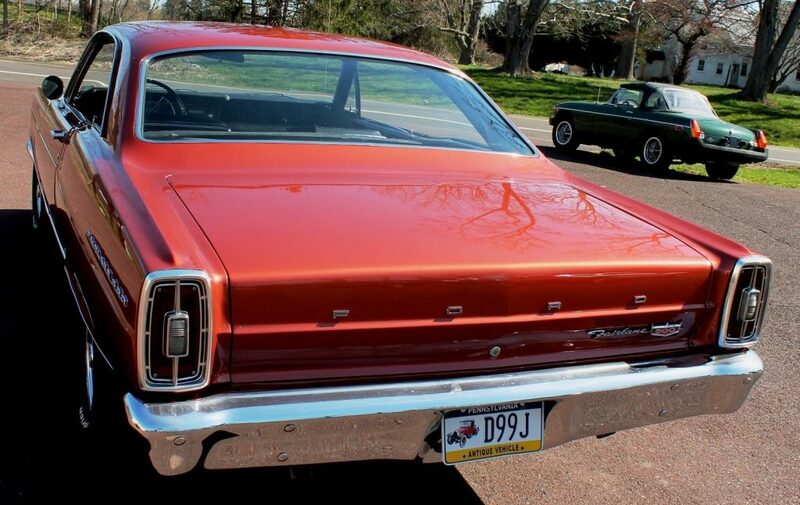 You can drive this car anywhere and often, or save it for those summer car shows and cruise nights. A sure trophy winner! We welcome any inquiries and/or requests for additional photos. Unlike many other classic car dealers who photograph their vehicles in professionally lighted studios or on Hollywood driveways, we at Fuzzy Dice shoot our pictures on our lot using nothing more than a point and shoot camera. So what you see is what you get. Most times even better in person.